In the ever-raging war for dominance, between Android and iOS, to bring out the best apps forward, iBooks plays a good role. When we get around to discuss the utility of iBooks in the bigger picture, the app delivers more steadily more than Google Books. Although both apps show many similarities, they are quite different. Once we look at the differences, that’s when we see that iBooks surely outperforms the Google counterpart. Most of this, critics attribute to the fact that, Apple works in a closed-circuit environment, and the apps, like the Apabi reader, are developed within deep mainframe work. Thus, the apps are more intuitive and smoother to run than any third-party apps which work on the Android base frame. Thus, Apple inches ahead in functionality when it comes to responsive apps for the most part. In this context, today we review one of the better alternatives to iBooks. With iBooks becoming the go-to reading app for Apple users, the makers have made it truly feature loaded. But, it has its limitation when it comes to supporting multiple well-known eBook or eText materials. Most important of it is when we look at the way it opens books, in a format which doesn’t fully support the graphical elements in it. Now when we look at the alternatives to iBooks, we can find many worthy ones who bring to fore incredible features which allow for effective reading. In this list, the most prominent one is Apabi reader who delivers on most aspects. Therefore, it becomes an important eBook reading app which brings about all the joy of reading to every user. Here is our review of the Apabi reader, which will make you go for it right now. What Makes Apabi eBook Reader Come Out Good? In simple terms, Apabi by Beijing Founder Apabi Technology Limited is an all good and all comprehensive eBook reader available only for iOS platform. Apabi Reader for iOS supports CEBX, EPUB, PDF, and TXT file formats. It can give you flexible and comfortable reading experience besides the classic functions of reading apps. You can load personal collections into Apabi Reader via iTunes, Wi-Fi, e-mails, or other apps. Come together with Apabi Reader to enjoy this incredible journey in the vast sea of books today! That becomes we have all the remarkable things in place to make our reading highly joyful. You get all the excellent features which make the app a must-have in any Apple device. Moreover, this app is highly useful for iPads as most users use this to read eBooks. But enough of what it stands to deliver. Let’s look at how it can deliver on its promise to bring innovative and incredible reading habits to the users. Features within Apabi, CEBX is a XML-based document technology, contains both fixed-layout and logical structure information. As a user, you can switch the display between fixed-layout and reflowing layout flexibly. Makers of CEBX books can create text materials very easily with Apabi Maker. This is because you can convert almost all major document formats to CEBX. In this regard, Apabi Maker comes with its document processing engine which supports CEBX/EPUB/TXT/PDF. The conversion engine which you get with Apabi Reader is something which is depending on the operating systems you use. Of course, since we are talking about iOS platform, Apabi integrates most of the features smoothly into conversion tools already on iOS platform. This own document support brings in a wonderful way of both reading and enhancing the way we deal with our things. In this regard, Apabi Maker comes with its document processing engine which supports CEBX/EPUB/TXT/PDF. The conversion engine which you get with Apabi Reader is something which is depending on the operating systems you use. Of course, since we are talking about iOS platform, most of the features that Apabi are smoothly integrated into conversion tools already supported within iOS platform. This own document support brings in a wonderful way of both reading and enhancing the way we deal with our things. CEBX is a XML-based document technology, containing both fixed-layout and logical structure information. An average user can bring out the display which you can switch between fixed-layout and reflowing layout quickly. CEBX books can be created very easily with Apabi Maker, which can convert almost all major document formats to CEBX. Own document engine that supports CEBX/EPUB/TXT/PDF and completely independent of operating systems. 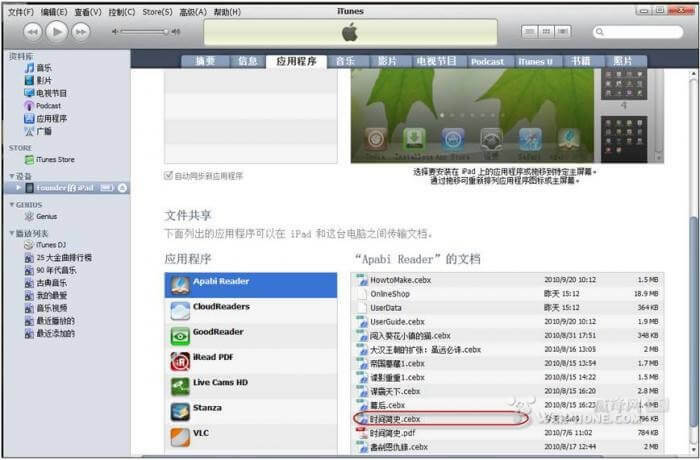 The app provides us with advanced features such as the ability to solve problems of PDF files with messy Chinese code or missing JPX images. In addition to this, Apabi provides custom fonts and backgrounds for CEBX, EPUB files with reflowing layout and TXT files from low layer processing. Can provide many advanced typography effects, such as text alignment, indent, spacing, font substitute and so on. Apabi reading app, gives out rich reading modes, including fixed-layout mode and reflowing mode. Even to fit width or use double columns mode with the horizontal screen. After all, Apabi makes the reading experience of all types of documents as best as possible. 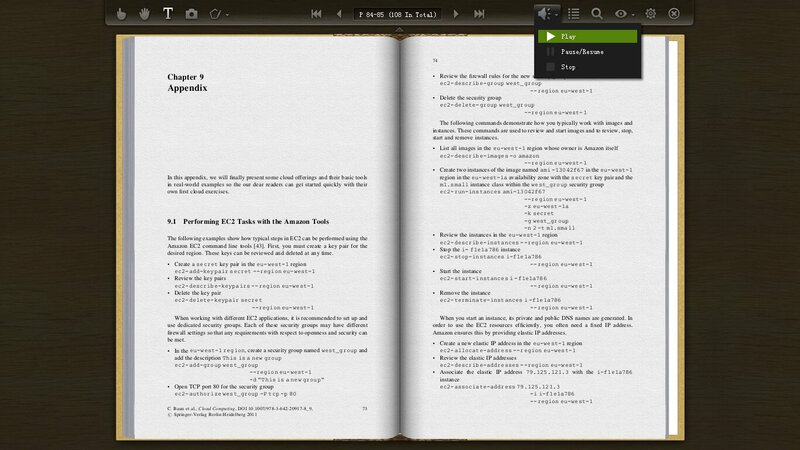 The reading app Apabi includes rich reading modes, including fixed-layout mode and reflowing mode. In other features, the page layouts are adjusted even to fit width or use double columns mode with the horizontal screen. These features are perhaps what makes the reading experience of all types of documents as best as possible. Apabi Reader for iOS keeps the classical feature of the traditional readers. It also adds a new function which will support you to borrow and read books by scanning the two-dimension code. It has a particular rearrangement effect. You can enjoy the best reading format by sliding the screen. It provides a reading experience that is more comfortable and flexible, as per the different readers’ needs. This e-book reader supports the formats of CEBX, PDF and TXT. You can also read your collections by loading them through iTunes. With new reading apps flooding the iTunes market, you got the entire range of choice of picking the options. You can choose from picking the apps, which fit in with your needs and bring the best service to you. However, when it comes to eBook reading apps, you can rest assured that the basic core functionalities of reader apps remain the same. The things that you are looking for are somehow different than just core ideas. The number of functions you have, the more you enjoy your reading, and that counts for something. Apabi checks all these boxes when it brings you the latest updates which rightfully serve the purpose. Go ahead and check out all its versions which make for the best reading experience.